A Special Holiday IH Banners! A sSs Int'l Scout & Trucks CALENDAR! 2019 IN STOCK! 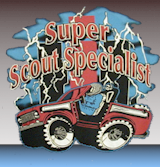 B sSs Int'l Scout & Trucks CALENDAR! 2016 IN STOCK! International Harvester Trucks: The Complete History Book NEW!